Near adult LBBG. Miller Beach. Gary, IN. 22 September 2013. John Kendall, Pete Grube and I chummed it in and got some pretty good photos. On Sunday, I started at New Buffalo and worked my way west to Chicago. Highlights at New Buffalo included a similar looking LBBG and a young Franklin's. Unfortunately, the birds were flybys over the lake and would not have anything to do with my offerings. The rest of my stops (Michigan City, Miller Beach, Whiting and Calumet Park) provided nothing besides Ring-billeds and Herrings. Herring numbers are building. Notes: I found a "blue" Ring-billed at New Buffalo beach. This individual was banded in the Lake Calumet colony in 2007. It's at least seven years old. You can find more information about this tagging program here. 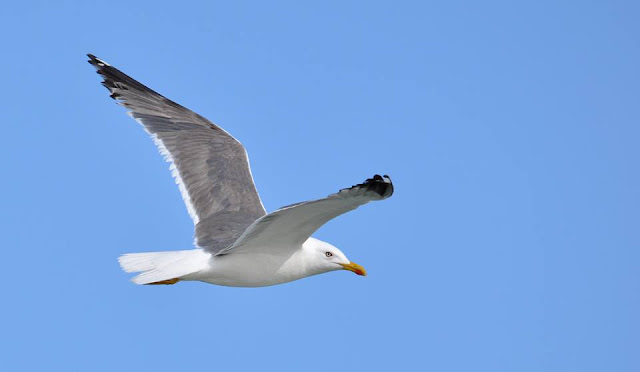 Definitive adult Ring-billed Gull tagged during the breeding season of 2007. 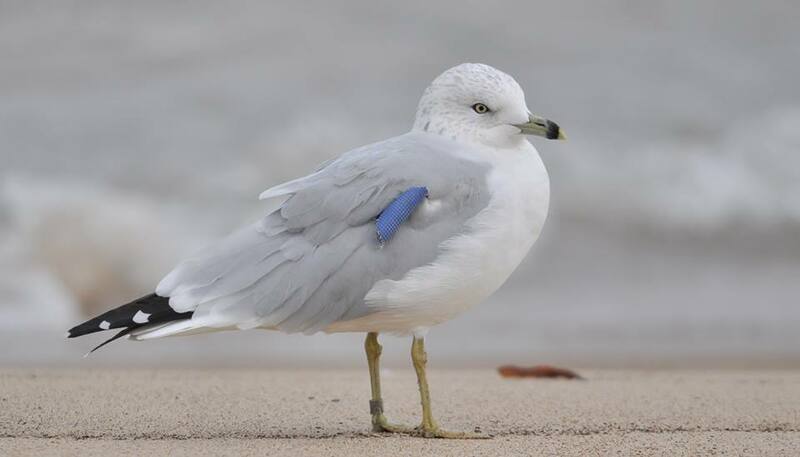 Many of these tagged birds have since evacuated the Chicago region. My feeling is that they've moved to other nearby colonies along the Great Lakes. Molt notes: 1st cycle Herrings are starting to get a nice mixture of 2nd generation scapulars and some have bill bases paling. 2nd cycles are very close to completing PB2 with P10s almost fully grown. Adult types have choppy mid-secondaries right now and growing the outer 3-4 primaries (still a rather messy appearance).